This Cuban Style Guiro is perfect for it’s Latin roots. Totally hand-crafted and made from all natural gourds. Symmetrically spaced grooves for a “dry” and consistent sound. Balanced weight distribution for easy handling and controll. 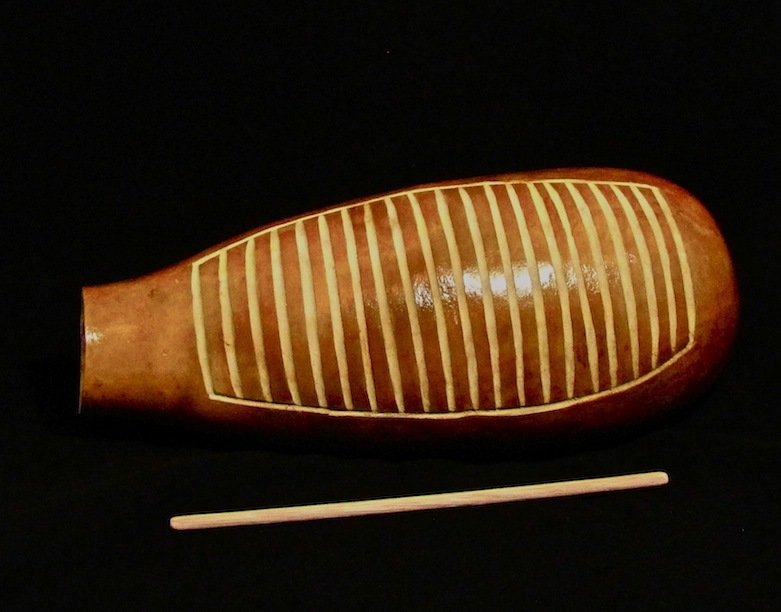 All Cuban Style Guiro comes with a wooden scraper to get that classic guiro sound.